Lots of people get to a point in life where our personal credit is a mess. Maybe it’s the day when you check your credit score only to learn that it is a miserable 539. Maybe it’s the day you realize you now have five figures of credit card debt. Maybe it’s the day you’re denied a loan from one lender, and offered another at 36.9% interest by another. However, you reach rock bottom, once you get there you’ve got to relearn credit card behaviors from the ground up. By building new habits, you can turn your credit around. It’ll take some time, but you can make it. Here’s how. Credit card comparison services can be a great resource for learning about credit cards, but it is your job to use them responsibly. 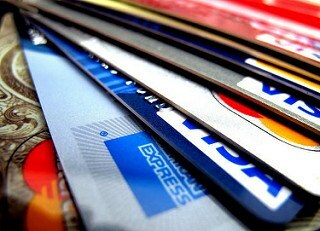 If you have bad credit and a lot of credit cards, you probably don’t appreciate credit cards as you should. From the consumer side of things, credit cards can be very useful, offering lots of bonuses and discounts. On the other hand, they’re easy to abuse for just these reasons, as well as the immediacy that comes with getting to charge purchases to credit. If you are able to cancel credit cards at this juncture, do so. If you have to pay off some debt first, do it as quickly as possible. Debt reduction methods are many, and online communities can help. Once you’ve managed to kill off some debt and cancel some cards. But never cancel the first card you ever opened! It marks the beginning of your credit history. And the longer your credit history is, the better! You’ll want to refill your wallet with cards that actually work for you, and which you know exactly how to use. At this juncture, you shouldn’t accept a credit card that is too much for you. Actually, many of these won’t be available to you because your credit score will be much too low. Look for cards that are unsecured (meaning you don’t have to deposit money to get one), with a reasonable credit limit, and reasonable interest rates. Oftentimes credit cards available to people with poor credit have very high interest rates. Once you receive your card, pay every purchase off as soon as humanly possible. Don’t carry a balance, and never miss a payment. Another option for rebuilding your credit with credit cards is to go with the secured credit card route. This method is often used for young people who need to learn about credit but who don’t want to risk messing things up. With these, you’ll typically deposit a sum of $500 or so. This will be your credit limit. You’ll buy things on credit just as normal, and pay them off. But because you have $500 in security to cover any mistakes, you won’t be able to run into trouble. Using a card like this is a great way to revive a low credit score. Moving forward, don’t get more cards than you can handle. Never use more than 30% of the available credit limit on a single card. Always pay your credit bills by the due date and pay attention to terms, like yearly fees and interest changes. If you give it the attention it deserves and work hard while rebuilding, you’ll create a credit history you can be proud of. Secured credit cards are an excellent way to keep track of the money you spend. It’s essentially the same as a debit card with a credit card repayment schedule. A very economical option for relearning good credit behaviors.